Humphrey-Basil Lodge at Birchdale Farm in Norton Disney, near Lincoln, Lincolnshire sleeps 6 people. Birchdale Farm near Lincoln is peacefully situated on a working farm in 60 acres of countryside just a short drive to Lincoln and Newark; these comfortable, detached lodges, Humphrey-Basil Lodge (ref UKC2176), The Timothy Suite (ref UKC2177 [The Timothy Suite]), Winston Lodge (ref W43482 [Winston Lodge]), Oscar Lodge (ref W43483 [Oscar Lodge]) and George Lodge (ref W43484 [George Lodge]), offer an excellent base from which to explore the area, or to simply relax and enjoy the peace and quiet of this tranquil location. In addition to the tranquil setting and stunning countryside views, and unique to The Timothy Suite, guests are able to bring their horses to enjoy the on-site equestrian facilities. An outdoor ménage, show jumping on grass and a private field for grazing are available as well as lessons with BHS AIISM instructor. There’s also parking for horse boxes and trailers. Please contact the owner for further details. Lincoln is well known for its Christmas market, famous cathedral and castle, which houses the Magna Carta Centre. The Bailgate shopping area of Lincoln has many restaurants and shops. It is a great place to explore, and a walk down the hill into the centre of the city takes you to the vibrant Brayford Wharf area. Newark Showground is about 10 minutes’ drive away, and is well known for its international antique fairs. There are good walks and cycle routes from the door, as well as golf courses and fishing (licence required) in the local area. The shop is 3 miles from Birchdale Farm near Lincoln, with the pub and restaurant 1½ miles from Birchdale Farm. Humphrey-Basil Lodge is all on the ground floor. Living area: With electric coal-effect fire, 50 Freeview TV, DVD player, CD player, iPod dock, wooden floor and patio doors leading to garden. Kitchen area: With electric oven, electric hob, microwave, fridge/freezer, dishwasher, washing machine and tiled floor. Bedroom 3: With twin electric riser beds. Wi-Fi included. Travel cot and highchair. Welcome pack. Lawned garden with sitting-out area, garden furniture and barbecue. 3 small dogs welcome. Bike store. Private parking for 3 cars. All Properties: Electric central heating, electricity, bed linen and towels included. 60-acre natural grounds (shared with other properties on-site). No smoking. Please note: There is a pond in the grounds. Pets allowed at Birchdale Farm - Humphrey-Basil Lodge. For a better idea of where Birchdale Farm - Humphrey-Basil Lodge is, you can see Birchdale Farm - Humphrey-Basil Lodge on the map below. 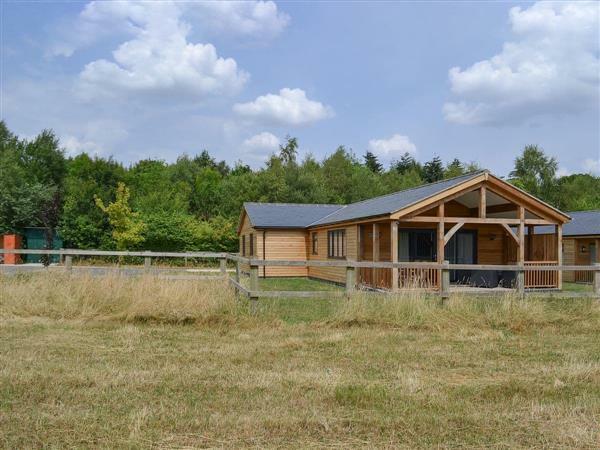 Birchdale Farm - Humphrey-Basil Lodge is in Lincolnshire; should you be on the lookout for a special offer, you can find all the special offers in Lincolnshire. It's always worth checking to see what is on offer at the moment. Do you want to holiday near Birchdale Farm - Humphrey-Basil Lodge (UKC2176), you can see other cottages within 25 miles of Birchdale Farm - Humphrey-Basil Lodge; have a look to find your perfect holiday location.